My favorite thing about ocean swimming is the feeling I have that I'm flying. Especially on a clear-water day when I can see the ground below me as if I were flying through the air. 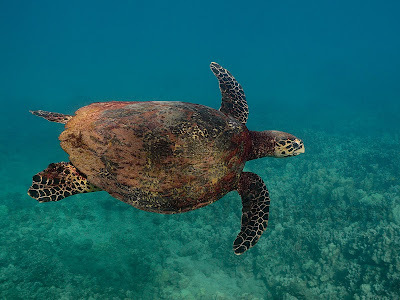 I was surprised this morning by what an awkward swimmer this Hawksbill turtle was. I felt graceful in comparison - maybe the poor guy was hung-over from eating too many jellyfish. 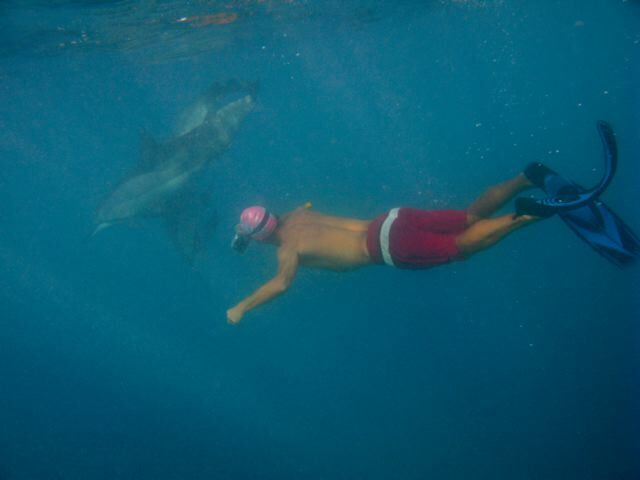 My thanks to recent visitors Bruce and Alan for their photos of me flying with dolphins. I can relate! its a shame we have to come up for air!